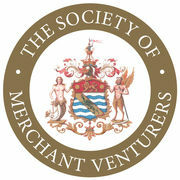 The work of Bannerman Road Community Academy is made possible through the outstanding support and expertise provide by our sponsors, the Society of Merchant Venturers and the University of Bristol and is brought to life by a team of excellent teachers and leaders. The sponsors are the key to success of Bannerman Road Community Academy and are what makes our school unique, both locally and nationally. They are an essential part of our school vision, able to give our students exceptional chances, experiences and opportunities unavailable elsewhere.